I wasn’t going to write any more articles on the material collected as part of my Russian working-class project, but two things happened to change that this spring. First was an invitation by Irina Olimpieva to come to the jubilee conference of the Centre for Independent Social research. The second was the call for papers from the new-ish Journal of Working-Class Studies on ‘Popular Revolt and the Global Working Class‘. Both the Centre and the unrelated US-based journal are causes well worth supporting. The result was a conference paper given in St Petersburg in May summarising many of the issues in my three papers on new independent trade unions, co-authored with Sarah Hinz in Post-Communist Economies, The European Journal of Industrial Relations, and forthcoming for Berghahn. I also reworked many ideas for a paper for JWCS which I hope will come out soon. In this post I will try to summarise the main points and the ideas that came out of interacting with union activists and scholars at St Petersburg. The CfP from the journal asks contributors to evaluate the argument that a global revolt is occurring against establishment systems of governance. Given this is a US-focused journal, I chose to contextualise the Russian working-classes long ‘patience’ in the 1990s, despite disorganised resistance from miners and others against Yeltsin. I used Paul Christensen’s ‘Labor Under Putin’ as an excellent summary to contextualise the difference between Russia and the US over the last 25 years. I concluded this section by comparing the ‘end of patience’ in Russia (people ‘endured’ the 1990s, and felt that ‘waiting’ had ended in the early 2000s) to that described in Arlie Russell Hochschild’s work on the US context (2016). The rejection of political-business-as-usual has led to Trump’s victory there, but even in Russia, there are limits to the authoritarian state’s capacity to defuse discontent based on injustice and inequality indefinitely, particularly at a time where these issues can only grow worse and become more visible. Patience may be a working-class virtue, but it is not a renewable resource. 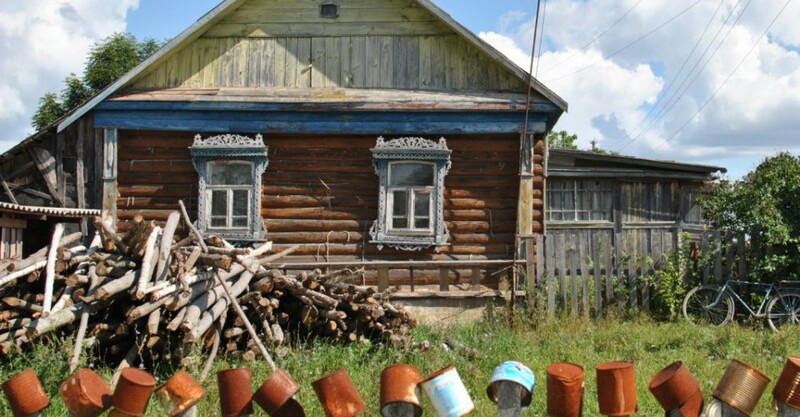 Just like the press in the US and UK, mainstream Russia-watchers largely ignore the ‘pauperisation’ of society, so it’s worth underscoring the kind of poverty many Russians face. I am in debt to a colleague who pointed out some survey data that supports my own ethnographic fieldwork materials: Centre for Economic and Political Reform’s report on living standards in Russia today. I used this data along with others’ to make the claim that today, because of stoppages due to falling demand, and compounded by currency devaluation, many Russian workers are experiencing the worst reduction in standards of living in living memory. Indeed, they are pushed back into almost third-world levels of subsistence. Strzelecki (2017: 10) notes that ‘the number of individuals who declare that they have too little money to buy enough food and those who cannot afford to buy clothes […] amounted to around 40% of the population’. The low paid workers in some regions are now spending up to 80% of their pay on basic food staples (TsEPR 2016: 5). In the final draft of the paper, however, I deleted the references to ‘event horizons’ as pompous and difficult to justify. Instead I focused on the likelihood of a ‘coalescence’ of labour, political and social protest leading to regime transformation. This was based on what I heard from union activists and others in St Petersburg, but what does coalescence mean? The participants noted the maturing of the union movement, where people expect more from employers and employers are correspondingly more responsive to the needs and demands of workers – where there are active unions, of course. Viacheslav Zhuiko stressed the division in workplaces now between those who are experiencing wage arrears and the rest underlining that where unions are present, employers now have to listen to demands. Karine Clément stressed that today we observe a sharper articulation of the distinction between the haves and have-nots in society. Petr Bizyukov highlighted the way labour protests today in Russia are always rooted in the ‘right to dialogue’ of workers. In her writing Clément notes that many ordinary people who participate in local and less ‘organised’ protests ‘have no previous activist experience, and may even have held negative attitudes towards activism and collective action before becoming involved’ (Clément 2015: 212). The same is true of labour protests such as the long distance truckers’ dispute in 2015 and its ’round two’ this year. This is one meaning of convergence-as-coalescence – the growing politicisation of protest that becomes a virtuous circle as people’s confidence in their right to a dignified life grows as does their realisation that economic and social problems have political roots. Petr Bizyukov illustrated this really well in his talk that touched on the Truckers’ protests, which started out as ‘patriotic’ and avoided blaming Putin, but which rapidly lost its political naiveté. Another key participant of the conference, Aleksandr Bibkov highlights the common themes of protest in Russia as attempts to activate ‘dignity’ and a sense of ‘collective autonomy’. This also gives cause to think that convergence and coalescence between disparate groups – say political protesters of the Navalnyi ilk, and, say, people protesting the destruction of Soviet-era housing in Moscow (motivated by corruption and private profit), could make common cause. After I had written the second draft, the UK elections gave me further cause to ponder the appropriateness of the term ‘coalescence’. David Timoney scathingly notes that the UK press were unable to ‘locate Labour voters’ until late in the day. It’s obvious why – there is now a startling disconnect between even the erstwhile centre-left press – represented by The Guardian – and the reality of Britain. It’s very telling that this newspaper spent most of the last two years supporting the line that a moderate leftist set of policies were impossible to sell to the electorate. In the end it seems clear that voters from all over the UK came back to Labour at least partly because of the effects of the Conservative government’s austerity policies on healthcare, education, and other public services. Timoney notes that the ‘meta-story across the country is the return of substantive social and economic policy to the heart of political debate’. Can we see this as a coalescence of the concerns of different generations, classes, even? I would hope the answer is yes. Like in Russia, there is a limit to the degree to which people are willing to see their living standards eroded and essential public services gutted. At the heart of this, I would argue, lie the values of ‘dignity’. When politics assumes that the arrogance and callousness needs no window dressing, sooner or later we get the ‘coalescence’ of affronted dignity that transcends people’s ordinary political prejudices. Perhaps the same is possible in Russia. Without meaningful political party vehicles, activating, channelling and enacting Bibkov’s ‘collective autonomy’ is the hard part. Petr Bizyukov had another interesting comment to make: in answering a question about revolutionary activity arising from Labour protest, the former tool maker and long-time researcher of labour disputes, said ‘be careful what you wish for. I’ve seen these guys up close and they don’t take any prisoners [referring to the Donbas coal miners’ underground strikes in the 1990s]. As a coda, I strongly recommend Petr’s recent work. He’s written on the increasing rate of ‘impatient’ and spontaneous labour protest, that bear witness to people’s despair. He’s also written comprehensively here about precaritisation through informalisation of employment here. This entry was posted in labor protest, working-class and tagged Coalescence, Dignity, labor protest, Russia, Uk elections on 13/06/2017 by Jeremy Morris.